Carol Sigwalt, age 63, passed away Tuesday, May 15, 2018 at her home at Illahee Hills in Urbandale. Carol was born February 19, 1955 in Fort Dodge, Iowa to Edward and Carol Parle. She enjoyed crocheting, cross-stitching, and listening to the birds. She loved walks with Chopper and Max, seek and find computer games, and reading. Carol is survived by her son, Mike Sigwalt; sister, Debbie (Vince Huebsch) Peterson; and brother, Eddie (Jodee) Day. She was preceded in death by her father, Edward Parle and her nephew, Hunter. There will be a celebration of Carol’s life on Sunday, May 20, 2018 at Illahee Hills, 8308 Colby Parkway, Urbandale, IA 50322 beginning at 3:30 p.m. 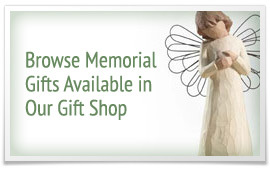 In lieu of flowers, contributions are suggested to the family in loving memory of Carol.